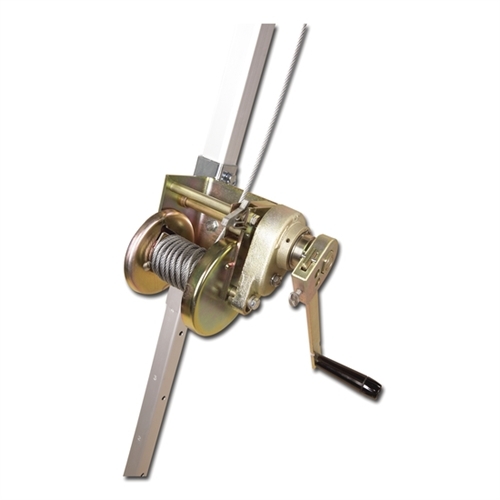 Confined Space Winch - 30 ft. PRO Confined Space Winch - 30 ft.
Self Retracting Lifeline with Swiveling Steel Snap Hook Shock Absorbing Lanyard with Snap Hooks at Each End Rope Grab Self Retracting Lifeline with Aluminum Housing and Anchorage Carabiner - 33 ft. Pack 100% Tie-Off Shock Absorbing Lanyard Rebel 100' Self Retracting Lifelines Self Retracting Lifeline with Swiveling Anchorage and Anchorage Carabiner Self Retracting Lifeline with Aluminum Housing and Anchorage Carabiner - 100 ft.